The Huron Shores Fire Department is staffed by a dedicated crew of volunteer firefighters, both men and women. If you are interested in joining the team please complete an Application Form. Completed forms may be returned to the Municipal Office. 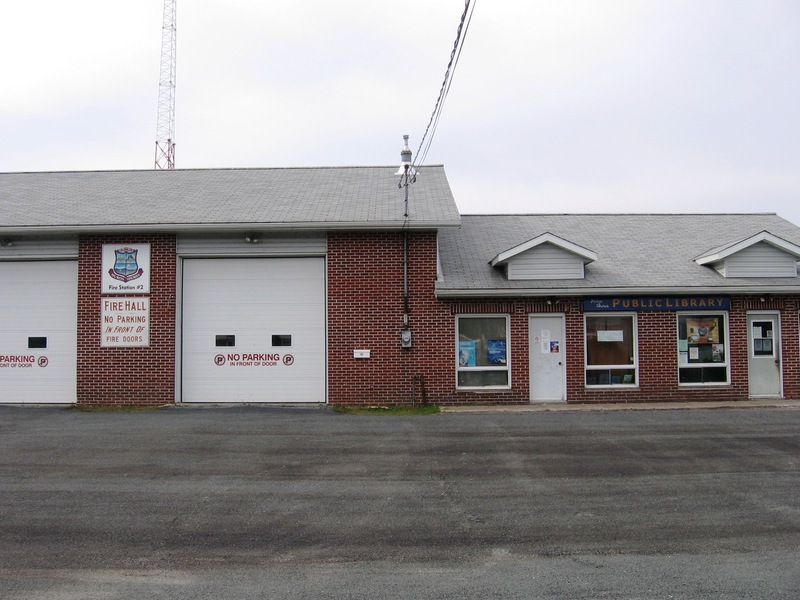 Firefighter Cadet Program (formerly Junior Fire Fighter Program): For interested young people aged 16-17 years. Here is the program outline. If you wish to apply for the program please download the Release From Liability Form and return the completed form to the Municipal Office. 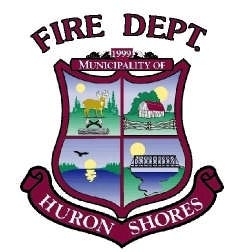 The Huron Shores Fire Department would like to remind you that spring and fall are excellent times to change the battery in your smoke alarms, and that they should be tested on a regular basis to make sure they are working properly. Smoke detectors, Carbon Monoxide (CO) detectors and combination units are available for purchase at the Municipal Office. 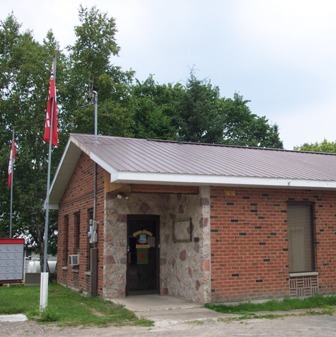 For residents of the Municipality of Huron Shores, if you have any questions or require assistance with the installation of your alarms, simply call the Municipal Office (705) 843-2033 and a member of the Huron Shores Fire Department will be glad to help you out and answer any questions you may have. 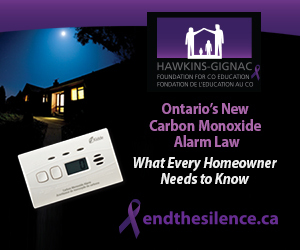 Effective October 16, 2014, it’s became the law in Ontario to install carbon monoxide (CO) alarms in your home if you have a fuel-burning appliance or an attached garage. 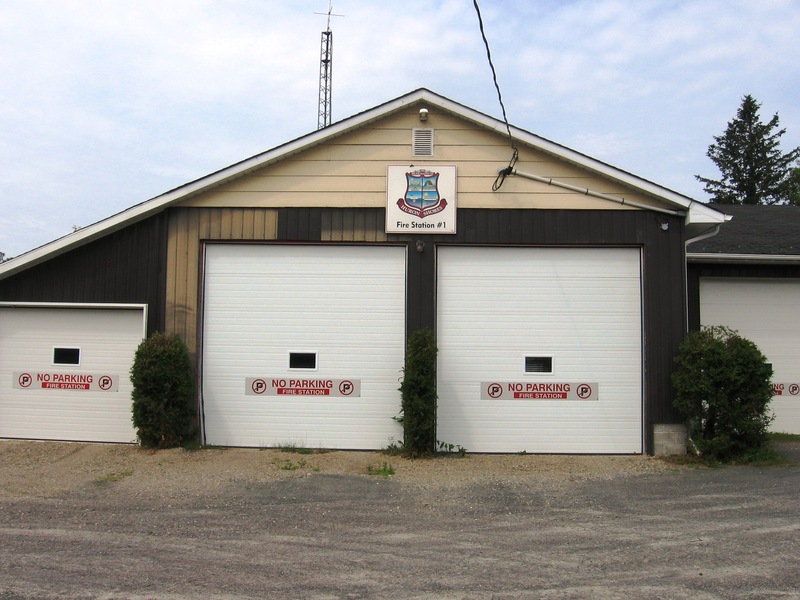 Please read the post from retired Fire Chief Medve (posted November 3rd, 2014 and published in The North Shore Sentinel, November 5, 2014). If your home has a fuel-burning appliance or an attached garage, you must have a working CO alarm outside all sleeping areas of the home and for added protection, install a carbon monoxide alarm on every storey of the home according to manufacturer’s instructions. Fuel-burning appliances can include furnaces, hot water heaters, gas or wood fireplaces, portable fuel-burning heaters and generators, barbeques, stoves and vehicles. 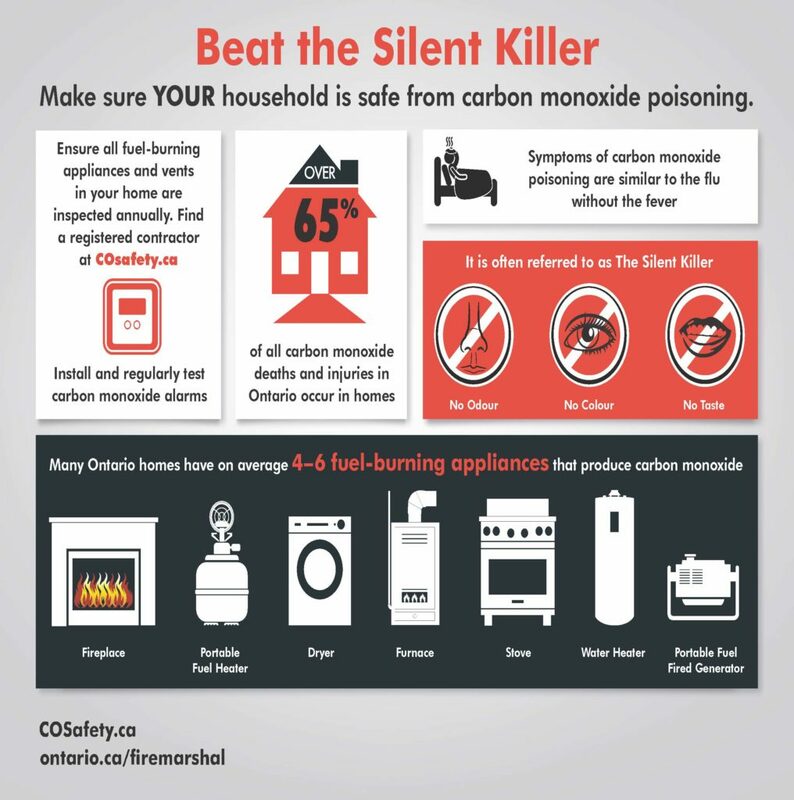 For more CO safety tips, please visit ontario.ca/firemarshal and COsafety.ca or view the Ontario CO Alarm Law Homeowners Guide. Smoke alarms don’t last forever. 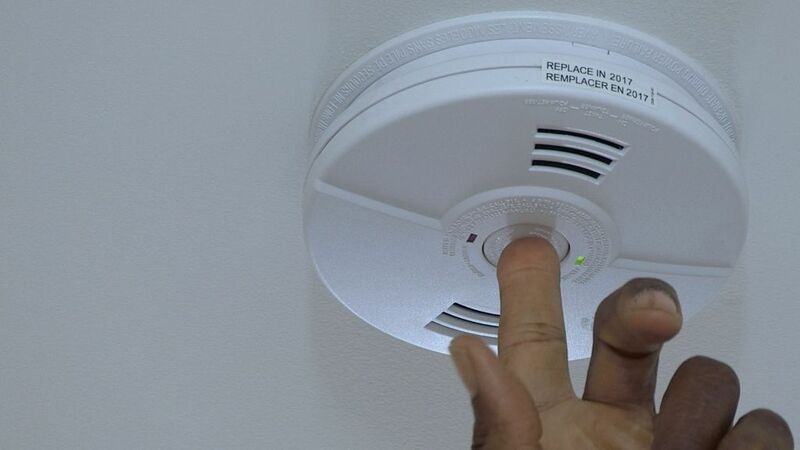 Most manufacturers recommend you replace your smoke alarm every 10 years. Your odds of winning the lottery are 1 in 14 million. Your odds of having a serious house fire are 1 in 700. Once a fire is started in your home, in most cases, you have less than 3 minutes to get out safely. Draw a floor plan of your house. Establish a meeting place outside the house. Be sure each family member has the plan and knows the escape route. 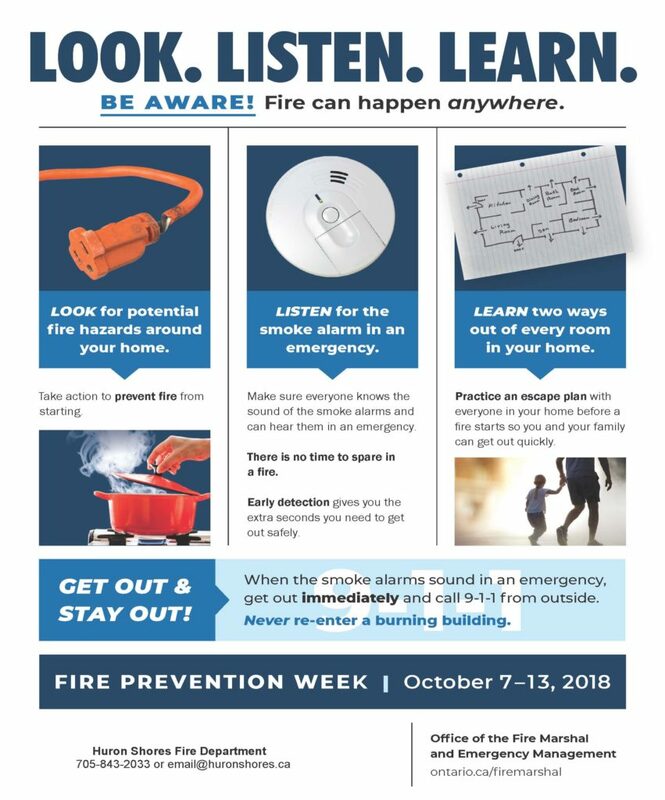 Post your fire escape plan on the fridge or family bulletin board. Hold a fire drill for your family once or twice a year. Vary the drills, to practice escaping from different fire sources.